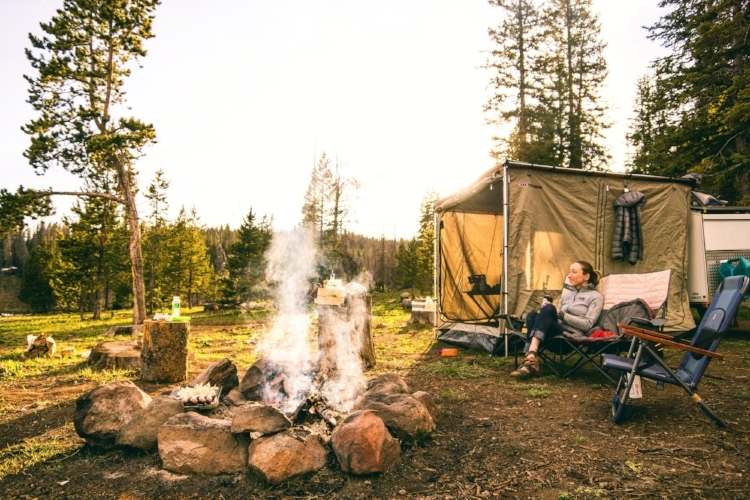 Camping in the summer can mean sleeping underneath the stars and spending your time walking in nature without having to worry about thick layers or getting a cold. But, that certainly doesn’t mean that you can’t go camping in winter. In fact, winter camping can be even more beautiful. Snowy landscapes, gorgeous winter scenes, and darker nights can make camping magical. However, it does mean that you need to think about your preparation more carefully. Here’s a look at some of the essentials that you need for a winter camping trip. An awning is always a good idea when camping, whether you are in a campervan or tent. It gives you a little sheltered outdoor space to enjoy. It’s even more essential in winter when you might be facing more unpredictable weather. An awning means that you can still sit outside without getting wet. Read more about your options before investing. It’s always a good idea to pack a waterproof coat and shoes when you go camping. Even if you are expecting good weather. But, it’s crucial for a winter trip. Waterproof boots, a coat and even trousers mean that you can still explore the local area without getting wet or cold. It’s also a good idea to pack thick jumpers, plenty of light layers, a hat, scarf, and gloves.